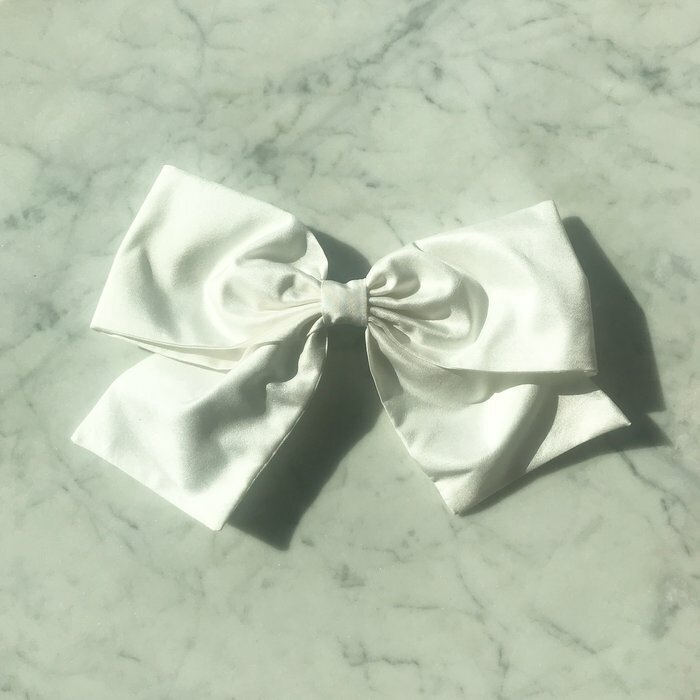 Soft silk bow by Bianca and Red. Made with silk tafetta. Measures approximately 8" across and 4" high. Perfect classic statement hairpiece.